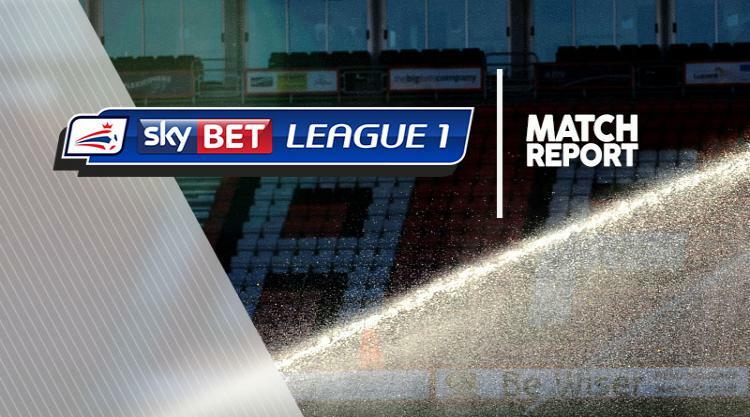 Calvin Andrew's first-half header made it four wins on the bounce for Rochdale as they secured a 1-0 Sky Bet League One win over Charlton at The Valley. Addicks skipper Johnnie Jackson missed a penalty in the 48th minute which extended their winless run to seven league games. Rochdale took the lead in the 25th minute when Joe Bunney's cross found Andrew who headed home at the back post. The Dale had an excellent chance to double their lead moments later after poor defending from Charlton forced Declan Rudd into a good save to deny Joe Thompson. The Londoners barely created any significant openings throughout the game and were booed off at the end of both halves. But, the home side started the second 45 minutes brightly as Ricky Holmes won a penalty after he was tripped by Bunney. Rochdale goalkeeper Josh Lillis though dived to his left to keep Jackson's effort out and then did well to deny Josh Magennis' follow-up strike. Despite late second-half pressure from Charlton, they could not get past a resilient Keith Hill side.